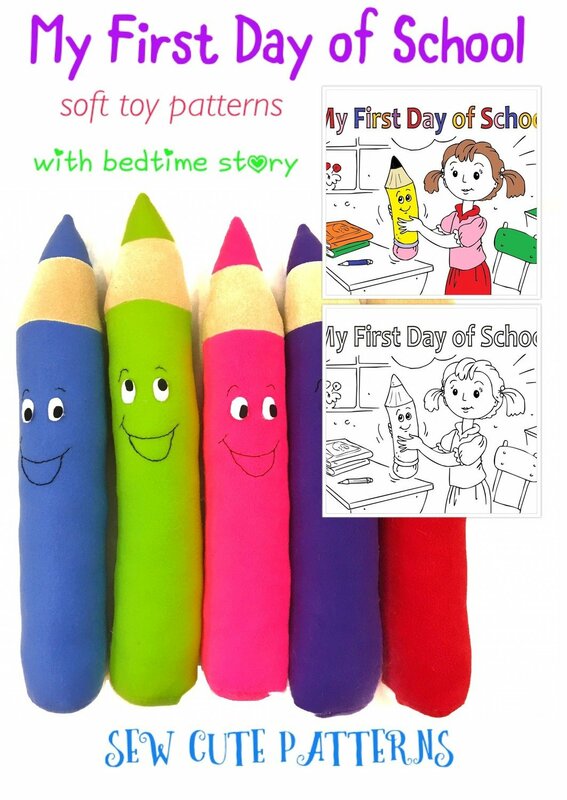 This adorable 23" plush colored pencil pal will help your little one with those first day of school jitters! This fun sewing pattern includes the story of My First Day of School starring the adorable pencil pal himself. Create your own customized pencil pal in your child's favorite colors to make your new toy really come to life! The story is a 22 page coloring book so children can color and design their own storybook pages! Makes it even more fun and interactive. - 1 PDF sewing pattern with instructions and pattern pieces to create a 23" plush colored pencil. Face template included with pattern. Instructions include photos to help you every step of the way.